Here it is, Folks, the album the world’s been needing. 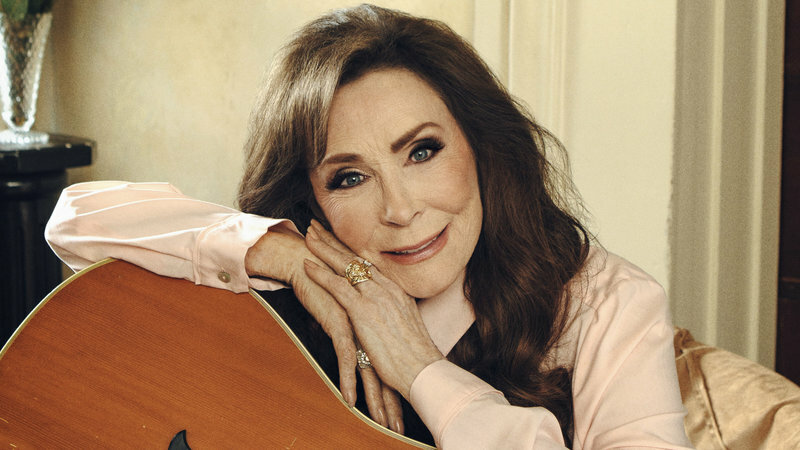 Miss Loretta Lynn has released the record we’ve all been patiently waiting for. Lynn’s forty-first studio album dropped on September 28th after being postponed due to complications with her health. “Because this record is so special for me, it deserves me at my best,” Lynn revealed as she spent the majority of 2017 focusing on her health after suffering a stroke and a fractured hip from a fall in her home. “Before my stroke last year I had been working hard on a new album and was so excited about it. This new record means so much to me, but this last year I had to focus on my health and decided to hold up the release. It was really important to me to be a part of it being released and I’m excited to celebrate it with y’all. I hope y’all love it.” Lynn said in a post on her Facebook page on August 22nd of this year, announcing the album’s final release for September 28th. 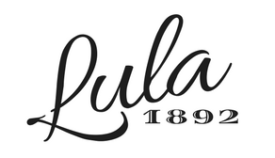 Wouldn’t It Be Great was produced by Lynn’s daughter, Patsy Lynn Russell, and John Carter Cash, the son of June Carter and Johnny Cash, and recorded at Cash Cabin Studio in Hendersonville, Tennessee. The album, arguably one of her best, is a mix of new songs written and co-written by Lynn, and new versions of previously recorded tracks also written and co-written by Lynn. 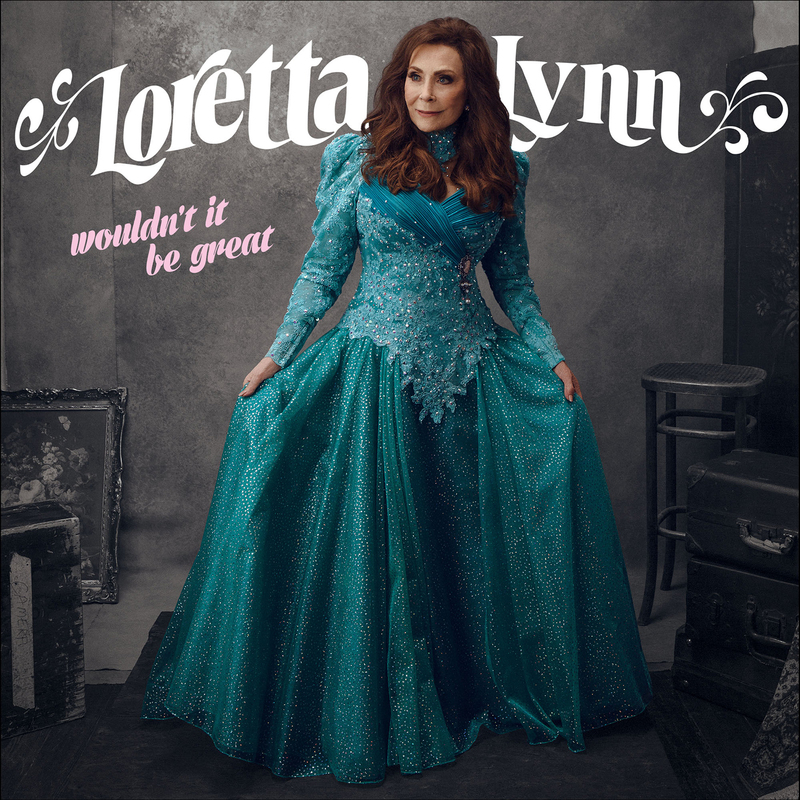 “Wouldn’t It Be Great?” was previously recorded for her 1985 album Just a Woman and then again with Dolly Parton and Tammy Wynette in 1993 for Honky Tonk Angels. “God Makes No Mistakes” was recorded in 2004 for Van Lear Rose. “My Angel Mother” was recorded in 1960 and released in 1968 for her album Here’s Loretta Lynn. “Don’t Come Home a Drinkin’” was released in 1967 for the album of the same name. “Lulie Vars” was also recorded in 1960 and released in 1966 for You Ain’t Woman Enough. Last, but certainly not least, “Coal Miner’s Daughter” was recorded and released in 1970 for the album of the same name and then again with Miranda Lambert and Sheryl Crow for Coal Miner’s Daughter: A Tribute to Loretta Lynn. At 86 years old, you’d never know that Lynn was a day over twenty-five; her voice is just as strong as it always was with her classic lilt and smooth vocal slides right up to the top of her register still prominent in every song. A particular favorite is “Ruby’s Stool”, which places Lynn in the narrative space of pissed-off lover dealing with her local man-stealing honky tonk woman. With a western swing tune so typical of Lynn, the humorously biting lyrics are a pleasant compliment to her saccharine voice. The album as a whole provides some of the best highlights of Lynn’s long and storied career while offering listeners refreshing, emotional new songs tempered with her typical humor and joie de vivre.